Air Conditioner Cleaning. Man In Gloves Checks The Filter. Zdjęcia Royalty Free, Obrazki, Obrazy Oraz Fotografia Seryjna. Image 63086869. Zdjęcie Seryjne - Air conditioner cleaning. Man in gloves checks the filter. Air conditioner cleaning. 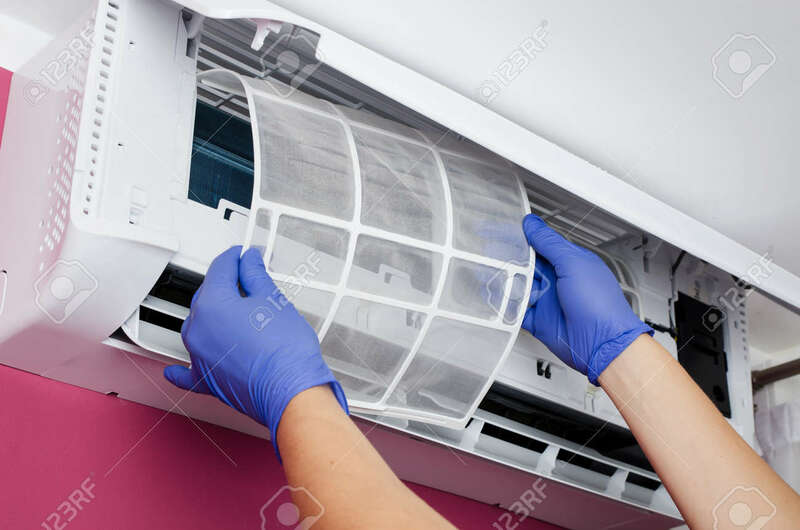 Man in gloves checks the filter.